Three weeks ago at Wildwood, we celebrated the baptisms of 15 individuals. These 15 were some of the over 80 who have been baptized at Wildwood in the past year. At Wildwood, when we baptize people we allow them to share their stories of how they came to faith in Jesus Christ, and all that Jesus has done and is doing in their lives. (See highlights here, and testimonies here.) These services are very encouraging times and a celebration of some of what God is doing. At our baptism services in July, we had nearly 1,000 people come and hear the stories of the greatness of Jesus. Most of us even applauded again and again as an act of celebration and worship as people came up out of the waters of baptism, thanking God for His grace. It is hard in that setting to NOT say “YES!” to Jesus and desire to follow Him. But what happens when we leave that service? What happens when we leave that room? Will we follow Jesus consistently in our own lives? I want to assert today that in the 19 days since that baptism service, all of us who applauded saying “YES JESUS!” in that moment, have said “NO” to Him in another. Sure, for some in attendance who are still exploring the claims of Christ, their “no” or “not yet” is a consistent expression of the process of discovery they are on. But I want to suggest that all of us – even those of us who have been a Christian for decades now – amazingly have said “NO” to following Jesus several times in the last few weeks. Don’t believe me? Jesus invites us to forgive those who have wronged us, but have we followed Him there? Some of us have said “NO” to following Him down the path of granting forgiveness. Jesus invites us to share the Gospel message with those who don’t know it, but have we followed Him there? Some of us have said “NO” to following Him down the Roman road of evangelism. Jesus invites us to be pure in our thoughts and actions, but have we followed Him there? Some of us have said “NO” to following Him there and fed impure thoughts, motives, and actions. Why do we do this? Why do we say “NO” to Someone so great? 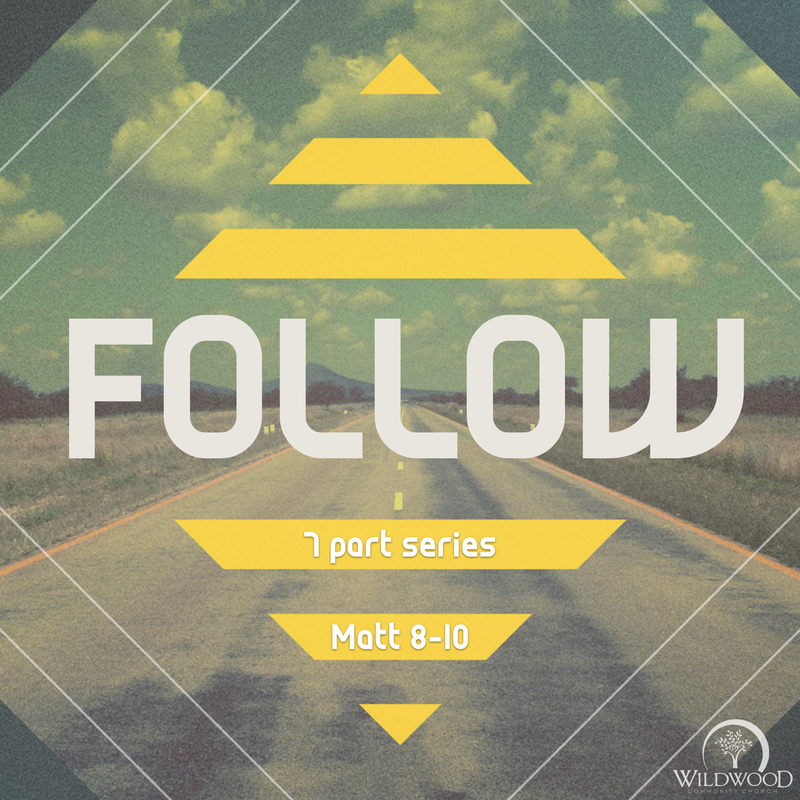 Well, we are going to talk about that this Sunday at Wildwood Community Church as we talk about what it means to “Follow” from Matthew 8:18-34. Our strange pension to say “NO” to Jesus in different areas of our lives is mirrored in the lives of those who gathered around Him in the first century during Jesus’ earthly ministry. We will look at some of their struggles and make parallels in our own life. We will also talk about the forgiveness found for all of us in Jesus, AND how we might say YES to following Him more this week. Make plans to join us this Sunday in our 8:30, 9:45, or 11:00 service! ← Thoughts on Charlottesville . . .